Harper turned 4 years old on March 26th, and she had a big party this past Saturday. We had the party at Catch Air (indoor playground) with 16 of her little friends and cousins. Everyone had a great time playing and Harper loved all the attention!! She had a ballerina cake and received many wonderful gifts. It is a blessing for us to be able to give this child, who just 8 months ago barely even had food to eat, any and everything she could want. We are very thankful to have such a supportive family and Church family that pours out love to our children everyday. Jason and I were so blessed by watching the joy and happiness radiant off Harper's face. She brings our family such joy, and she is truely a little princess! I wish I could say that I came up with this, but I got it off another blog. However, every single one of these statements are so true for me! Here is also a picture from this week that was too cute not to share! 5. 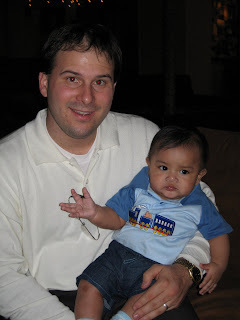 You spend free time surfing blogs about families who’ve experienced the blessing of adoption. 7. You’ve been “pregnant” with your adoptive child longer than it takes an elephant to give birth. 8. You’d no idea how you’d afford to adopt, but stepped out in faith anyway, knowing He’d provide. 9. You’ve taken an airplane half-way around the world with a child you just met. 10. You believe God’s heart’s for adoption. See James 1:27 and Romans 8. 11. You realize that welcoming a child into your heart & family is one of the most important legacies you could ever leave on this earth. 12. You know what the word “Dossier” means & you can actually pronounce it correctly! 13. You’ve welcomed a social worker into the most private parts of your life. 14. You shudder when people say your child’s so lucky that you adopted them, knowing full well you’re the blessed one to have him or her in your life. 15. you are constantly asking the bookstores to carry a selection of children’s books that have stories where kids that look like yours are the hero’s. 16. when someone talks about addictions you quietly think in your head that have an addiction of your own- adoption! 17. your wallet is empty and your heart is full. There is one thing that I have learned from being a mom, you can't compete with DADDY! All 3 of our kids adore Jason and think he is a superhero (he really is)! They love playing with their Daddy, and whatever he does is the greatest thing in the world. Jason could read the Wall Street Journal to them and they would sit and hang on every word he says. It is amazing to me how well they can listen and obey when Daddy is around! But, of course, Jason loves the attention. Here are a few pictures of Jason and the kids. But then again, I think he is pretty wonderful too! Welcome, from the Glas family! I decided to start a blog when I reliazed that I was one of the few Moms that did not have one! So, to start off I wanted to introduce my family and tell how we became a family. Jason and I were childhood friends, started dating in high school, married in college, and love each other more now than ever before. We were and still are Best Friends! 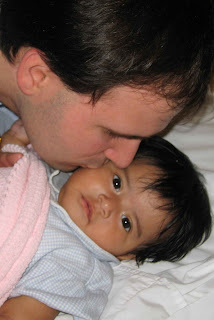 In 2003 we decided that we were ready to expand our family by having children. We had everything planned out, but God had differrent plans for us! We rode on the emotional rollar coaster of infertility for 2 years when we decided to pursue children through adoption. 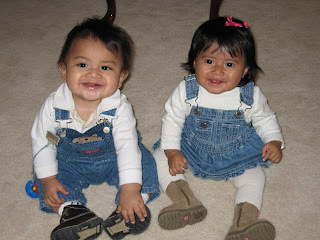 The summer of 2005 we learned of 2 babies in Guatemala City, Guatemala that God had chosen to be apart of our family. Harrison was placed in our arms November 9, 2005. Mary Elizabeth Glas was born June 22, 2005. Mary Elizabeth was placed in our arms January 9, 2005. 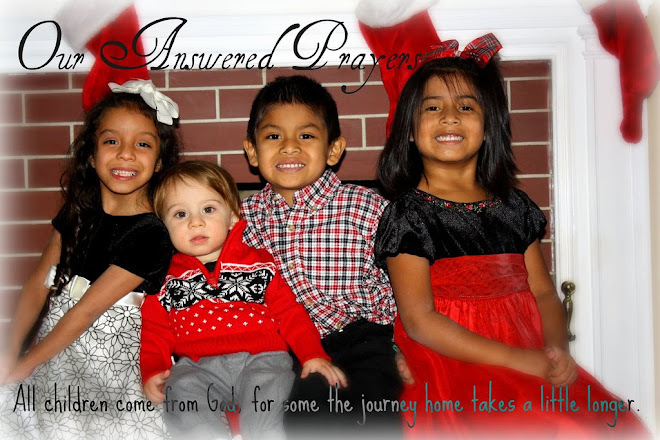 We were a family of four for a year when we felt God calling us to adopt again. 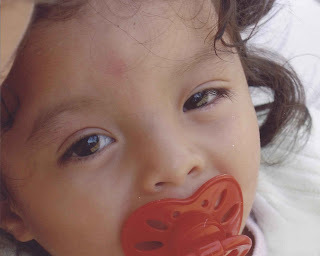 We found out about a little girl (3 years old) living in an orphanage in Brazil. So, we began the paperwork in December 2006 and finally got the call that we could travel to get her July 2007. Harper was placed in our arms July 27, 2007. 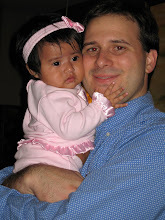 Our family had to live in Brazil for almost 2 months before we were allowed to bring our sweet little girl home. But it was a time that our family will cherish forever. Harper (our Brazilian Princess) is turning 4 years old on March 26th. She is extremely tiny, only weighing 19 lbs, but has a BIG personality. She talks constantly and is always happy. Harrison (our Guatemalan Prince) turns 3 years old in May. He is also a big talker and very smart. He wants to do everything his Daddy does, and thinks he is as big as his Daddy too. 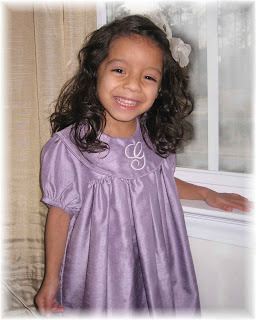 Mary Elizabeth (our Guatemalan Princess) turns 3 years old in June. She is the BOSS of everyone. She tells everyone what to do and they do it or she wrestles them to the ground. However, she is extremely girly. She does not want to do anything that messes up her hair bow. Jason and I are extremely blessed to have 3 wonderful children, and pray that God will bless us with more (no we are not finished yet!). I hope that you enjoy this blog and staying up with our very BUSY life here at the Glas House!